Q&A leading into the 2009 AGM, Olympia shareholders had many questions revolving around the companies investment strategy, governance issues, disastrous foray into South Africa and prospects of escaping an Uchumi like future as the AGM was postponed, and happened a week later than scheduled. Governance: – the AGM was delayed, the Board said, because the annual accounts were late coming out; one shareholder urged them to do better, not aim for the minimum corporate of 21 days only to avoid being late and incurring regulator penalties. CEO (Michael Matu) said they had noted this and had improved to the extent that the ½ year accounts were released in September, just over month after completion of period. – No due diligence in describing Natwood investment, CEO had mentioned that they paid ½ the funds but later their due diligence showed that there were come issues within the company and a shareholder questioned if any initial due diligence was done at all. CEO explained that if company went after blue chip companies, they would pay premium prices, but they chose to go after viable but distressed companies and in this case they had consulted advisers and lawyers before natwood deal. Shareholder votes – One director was re-elected, but COO Mwangi Wamae opted out of re-election to the board. – ESOP though directors said employee share options plan (ESOP) will be a key tool to attract top managers for the various companies, shareholders voiced concern that this was the wrong time to bring up an ESOP, with the board governance not in place. Directors argue that the ESOP approval was separate from the implementation noting that – they have had an ESOP in Botswana for 3 years with no shares issued, and that the CMA (Kenya) would not be discuss and approve an ESOP unless shareholders had approved it. Since this was a formality it was approved. Summary: Olympia CEO and Board pulled it off (again) – reassuring shareholders that the company was sound, strategy & governance would improve, they had a plan to take it forward and that the worst (of the SA foray) was behind them now. This entry was posted in AGM, CMA Kenya, Corporate governance, ESOP, NSE investments, Olympia Capital, South Africa on October 6, 2009 by bankelele. – R/T @kaboro Skunkworks Tech & Entrepreneur Forum, 29Sep Speakers: Liko Agosta, Verviant, Joshua Wanyama, Pamoja, Alex Gakuru. – New women’s magazine called Move out this week from EAM, costs just Kshs. 80 ($1) http://www.drum.co.ke/node/… was true love too pricey for the ladies? 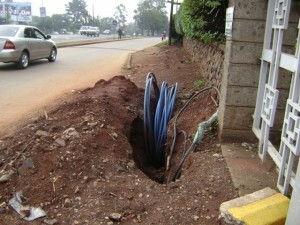 – R/t @kainvestor Kenya Ministry of Water office connected to fibre cable! 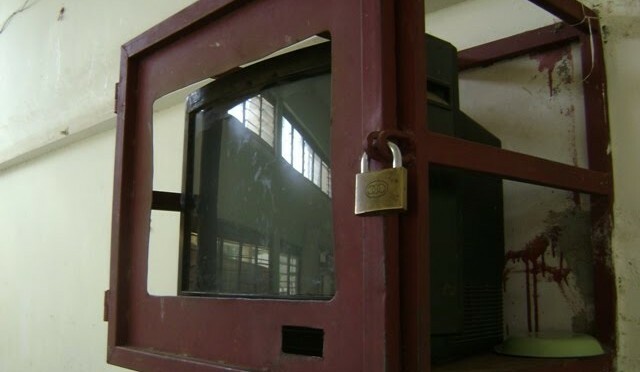 But nobody knows what do with it…just watching movies online. This entry was posted in Barclays, CFCStanbic, Charterhouse, credit cards, Kenya Airways, Media in Kenya, Olympia Capital, PTA Bank, rhabdomyolysis, skunkworks, TEAMS, tiomin, Twitter on September 22, 2009 by bankelele. Holding company – Olympia Capital’s annual report is one of the most jumbled I have seen in a while – it has contradictory statements, dates overlap, and profit/loss amounts that may have led to some regulatory trouble in Botswana where the company was also listed. – A subsidiary, Dunlop, bought a tile making plant at a cost of 54 million – but it has not been installed – and the company may have to get a third party to install or operate it – or may even have sell the plant! – Bad timing for the directors to ask shareholders to approve creation of an employee share option plan (ESOP), fund it, appoint trustees, issue shares etc. – Increase share capital from 40 million to 50 million by creating 10 million new shares of 5/= each – this adds up to an additional 50, not 10 million! 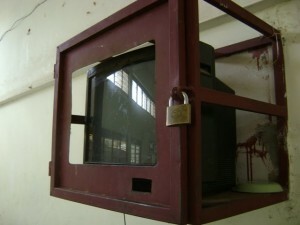 – DCDM will continue as auditors. This entry was posted in Corporate governance, ESOP, NSE investments, Olympia Capital, South Africa on September 17, 2009 by bankelele. For the first time in years, Olympia has received clean statements from their auditors (DCDM) and the company resumes paying a dividend of this year of Kshs. 0.20 per share. Also Paul Wanderi Ndungu, a lawyer who made a windfall with Kenya Airways shares, and is now Olympia’s second largest shareholder with 12.25% behind Dunlop properties, has joined the Olympia Board this year along with John Simba. See Olympia accounts summary here. 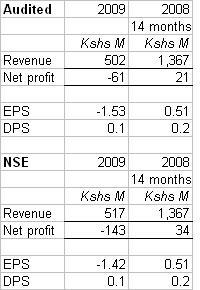 This entry was posted in NSE investments, Olympia Capital on August 18, 2008 by bankelele.